Information about Oregon's elected official's voting records with regard to the inherently un-American Government drive to force Adult American Citizens to protect themselves. Law Makers who thinks that American Citizens need to be protected from themselves have lost all understanding regarding the fundamental reason why our Country was founded - FREEDOM! Are you listening Vicki Walker? 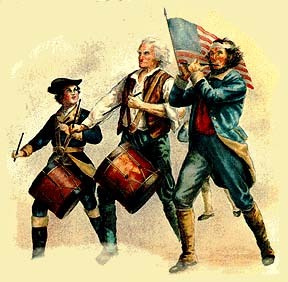 Our forefathers created the Constitution and the Executive, Legislative and Judicial branches of Government to ensure that American Citizens would be free from tyranny, unreasonable search and seizure, Debtor's prison and a lot of other insults against humanity that were the reality of the time. In case you hadn't noticed, there has been an increasing trend in Government to remove the freedoms that American's once enjoyed. Benjamin Franklin once said, "those who are willing to sacrifice freedom to obtain security deserve neither." How right he was! Freedom is not about Government forcing Adult American Citizens to wear a piece of so-called safety equipment that [many Motorcyclists feel] is unnecessary. Freedom is about allowing Citizens to make their own choices about religion, pastimes, employment and about their pursuit of happiness. Government does not exist to ensure that Citizens do not err.... Citizens are responsible for ensuring that Government does not err... making sure that Government does not become so powerful that it can unilaterally remove personal freedoms requires constant vigilance.. The purpose of these pages is to provide performance information about our State Law Makers so that Citizens can make informed choices at the polls. It is also hoped that the information provided here will inspire Citizens to become an active part of the Law Making process and will make their opinions known to their Legislators on the wide variety of bills that are considered each session, not just those that effect Motorcycling. Legislators who don't understand this are living and governing in the wrong Country! Think that how a Law Maker votes on the helmet law doesn't effect you because you don't own a motorcycle? Think it doesn't matter because you own a motorcycle but chose to wear a helmet? Think again..... these same Law Makers who would presume to take away our rights as Motorcyclists will have no problem taking away your freedoms too. They just haven't gotten around to you yet, that's all. Think that it's OK for Police to watch citizens on the street from cameras perched atop poles? Think that it's OK to maintain a single database that anyone can access, containing your medical, work and other personal records as well as all of your credit card and purchasing transactions? Think that it's OK for the Police to stop you any time they feel like it to "check your papers" and to ask what you are doing and where you are going? Well, if you think that your movements are none of the Government's business, you need to get rid of Law Makers who *DO* think that these are great ideas. The loss of freedom to any group, no matter how small, effects us all. Don't wait until Government Thugs drive a tank through your front door before you get involved! Here's an opportunity to let others know how you feel!